This week we’ve not just been blogging about plants and RHS fairs. 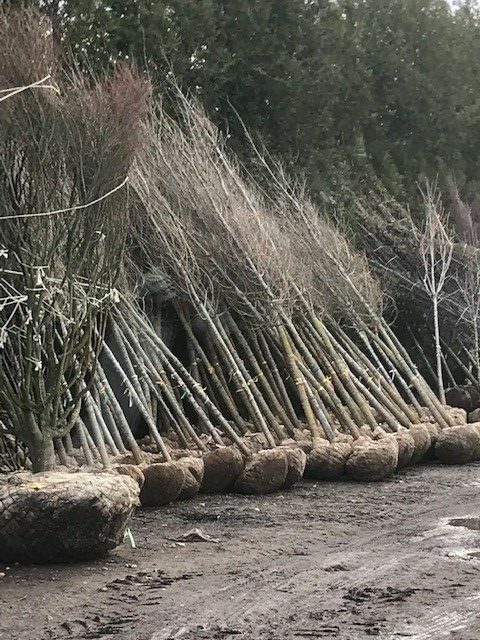 We’ve also been transporting a large collection of trees from West Sussex destined for a showhome site in Southall (London). 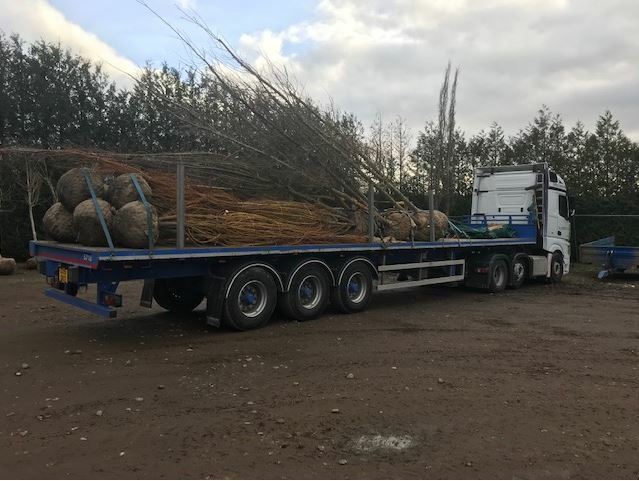 Plant / Shrub & Tree Haulage heading to landscapers on construction sites is a marketplace we are well equipped to serve. 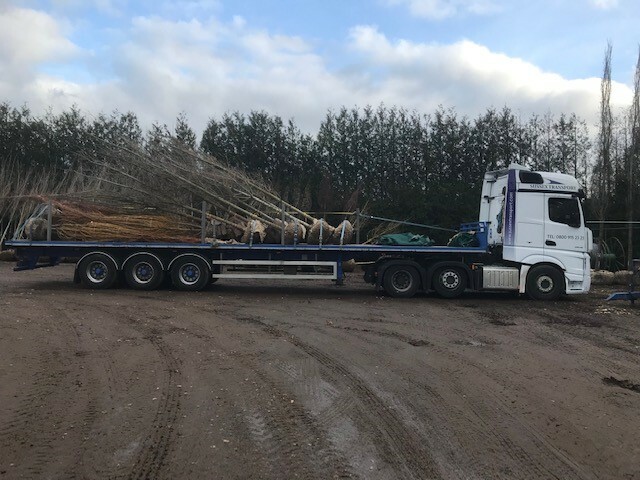 Our fleet are on and off sites all day and with the latest technology and haulage industry accreditations, we can deliver just about anywhere. Our flatbed fleet is superb for this work. 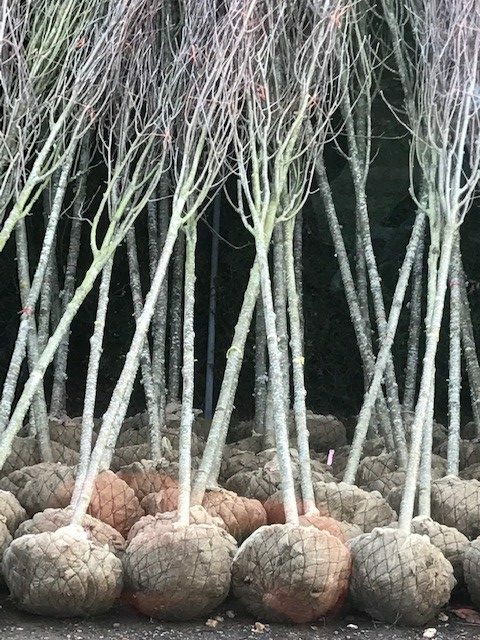 Trees can be loaded and unloaded quickly and easily with their root balls intact. Strapping and sheeting is simple after that. Take a peek at the pictures below and dont forget to give us a shout should you need to move your wood! 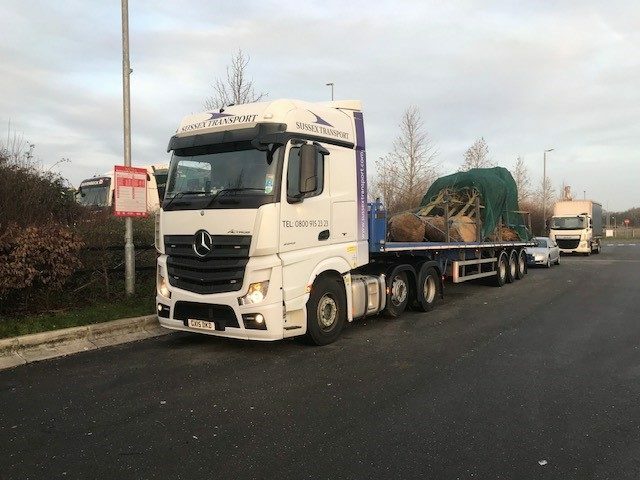 Our transport teams across our ‘branches’ will happily field any plant related questions and provide you a high quality service. Call us today on 0800 915 2323 or complete one of our enquiry forms. This entry was posted in Artic Transport, Delivering to..., News, Where are Sussex Transport going..., Where are Sussex Transport..., Working with... and tagged Artic transport, flatbed artic, London, plant haulage, plant transport, Shrub Haulage, Southall, Sussex, tree haulage, tree transport. Bookmark the permalink.